Duduk is an ancient double-reed woodwind instrument made of apricot wood. UNESCO proclaimed the Armenian duduk and its music as a Masterpiece of the Intangible Heritage of Humanity in 2005 and inscribed it in 2008. Jivan Gasparyan is recognized as the most accomplished and influential musician in the history of the duduk. His music has been featured in Hollywood's some of the biggest movies of recent years such as Oscar-winning "Gladiator", "Ronin", "Syriana", "Blood Diamond" and others. Among Jivan Gasparyan’s students is someone who seems destined to become his successor: his grandson, Jivan Gasparyan Jr.
J ivan Gasparyan Jr was born on October 23, 1982 in Yerevan, Armenia. He has always been inspired by Armenian folk melodies performed by his grandfather, the legendary duduk master Jivan Gasparyan. . Studying music at Yerevan Vocal School, Jivan Junior was also interested in learning the art of playing the duduk from his grandfather. At his early teens, he moved to Los Angeles, California. Graduating from Grant High School, he continued in college to become a doctor. Soon he realized that his interests lay in music only. His major goal became to follow his grandfather’s footsteps, achieve recognition in the performance of the duduk, and continue this traditional art in his own unique way. In Los Angeles, Jivan Jr. joined the band "Viza,” combining elements of traditional music in a folk and rock influences. He worked hard to improve his performance and soon accompanied his grandfather at concerts at the Los Angeles Hollywood Bowl, in Moscow at the Kremlin Concert Hall, in London, Poland, Italy, Russia, Prague, and many other countries and cities in the world, having great success everywhere. He has collaborated with Sebu Simonian, with a project name "Jivan & Sebu". Two singles are available "Hummingbird" and "Have You Ever Heard Somebody". He performed together with Jivan SR as the opening performance of the concert for Nelson Mandela’s 90th Birthday celebration, which took place in Hyde Park, London, on June 27, 2008. 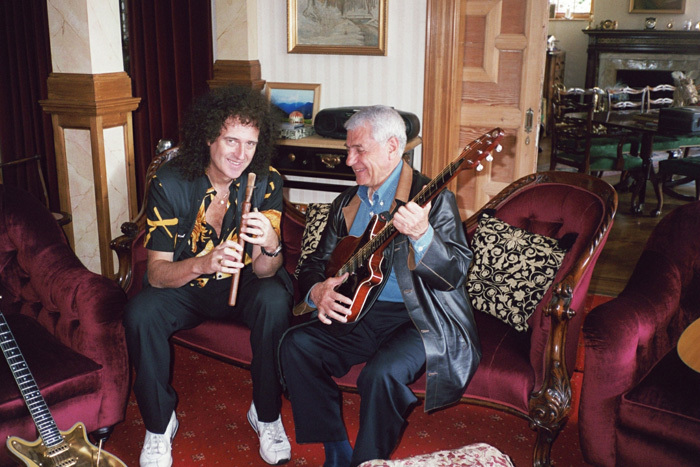 Celebrities such as Bryan May, Peter Gabriel, Amy Winehouse, Quincy Jones, Will Smith, Annie Lennox, and many other more were in attendance at the event. Jivan Junior is one of the ambassadors of “46664”. 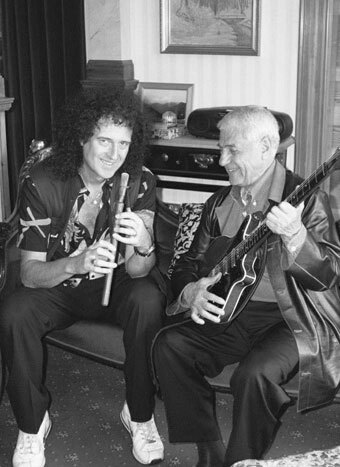 In 2009, Jivan performed with London Philharmonic orchestra in Windsor Castle where he got Prince Charles’ attention. Also, in 2009 he took part in WOMAD festival in Abu Dhabi, organized by Peter Gabriel and performed in many other recognized festival’s throughout the world. 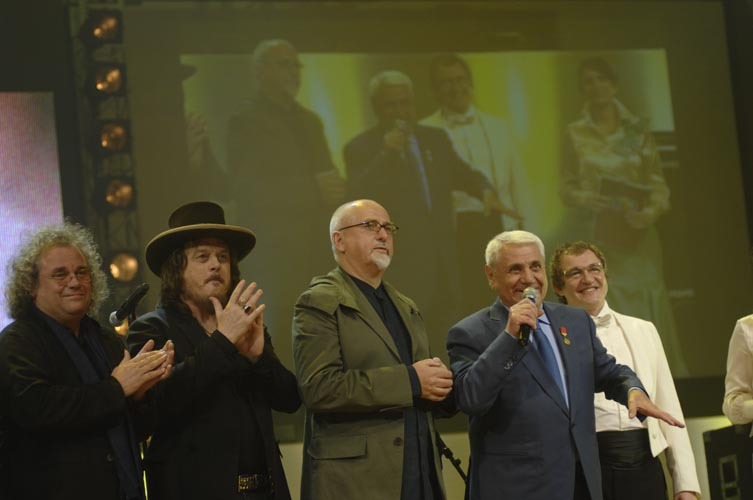 Jivan Gasparyan Jr took part in the celebration of his grandfather's 80th birthday anniversary in Yerevan and performed with guest musicians such as Zucchero, Andreas Vollenweider, Boris Grebenshikov, Alan Parsons Project, Planet X. He has performed with Michael Brook, Moscow symphonic orchestra, London Philharmonic orchestra, State Youth Orchestra of Armenia and various other renowned orchestras from around the world. Artists such as Serj Tankian, Madeleine Peyroux, producer Larry Klein, Armen Babakhanyan, Heavy Machinery, Kadance Ensemble, Walter Quintus, Vahag Hayrapetyan, Armen Hyusnunts, Armenian State Jazz Band. “Big Apple Music Awards” cultural foundation recognized Jivan Gasparyan, Jr. as the best duduk player in New York and the prize was for continuing the art and tradition of Jivan Gasparyan SR and the Armenian tradition. In 2010 the jury of the Duduk Competition on the name of Jivan Gasparyan, recognized Jivan Gasparyan Junior as the first prize winner. 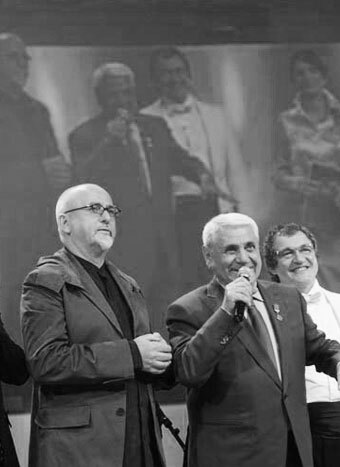 In 2011 Jivan Gasparyan Jr. was granted UNESCO's special award during the 8th International Music Festival "Sharq Taronalari"("Melodies of the East"), which was held in Samarkand, Uzbekistan, the city, which is inscribed on the UNESCO World Heritage List in 2001 as Samarkand - Crossroads of Cultures. The festival was organized on August 25-30 and hosted 300 musicians from 52 countries. In 2011 Jivan Gasparyan Jr. continued his musical education in the University in Yerevan, Armenia. His first solo album " Roots" was released in Yerevan, in November of 2013. This cd includes twelve tracks of ancient Armenian melodies, introduced in a new way. This cd is the expression of his emotions and instrumental technique. Keeping the spirit of Armenian folk music Jivan Gasparyan Jr propels it in a new way. His second solo album called “Night City”. Representing different styles of music as jazz, blues, fusion with a new duduk sound to be heard for the first time, including some of his own compositions. A project called “Aragats” with its new album called “The Arrival” which was recorded live at the Morgenland festival and released by “Dreyer Gaido” label. Armenian melodies played in folk jazz. A project called “Ararat-Volga” with the Russian Strings Ensemble with new sounds of traditional instruments mixes the Armenian and Russian melodies and improvisations. Also, the album will be available soon in 2018. Jivan Junior's music appears in “The Soul of Armenia” double CD, produced by Network Medien GMBH (Germany), the CD "Penumbra” produced by Michael Brook (USA), and CDs "Maktub ","De Facto", and "Eros " produced with the band "Viza"(USA). M aestro Jivan Gasparyan is recognized as the most accomplished and influential musician in the history of the duduk. But more than a musician, he is an icon, a living embodiment of the history of Armenian traditional, folk music. He has become a true cultural hero of his culture. 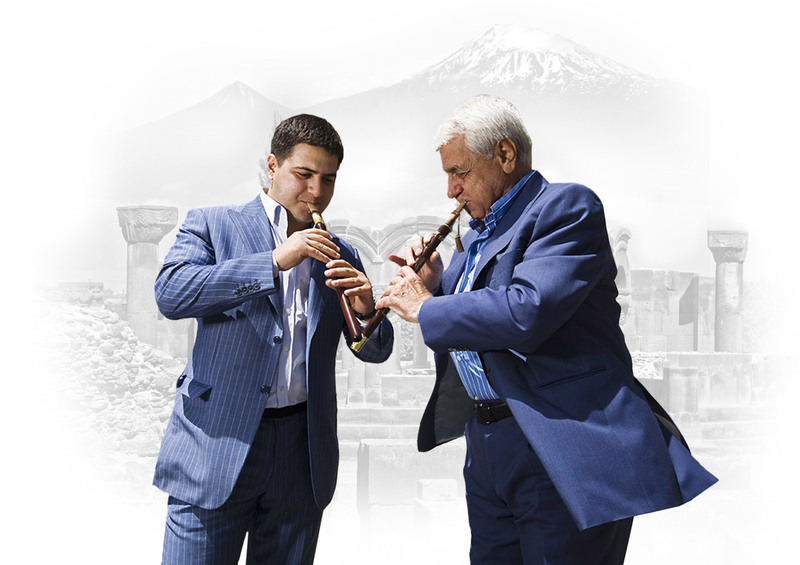 Jivan Gasparyan is a musician, who during his seventy years of professional career has earned global recognition for an unassuming instrument, turning the shepherd's flute into a rising star of Hollywood. Connect on social networks, subscribe on streaming services and YouTube. © 2018 Jivan Gasparyan JR.